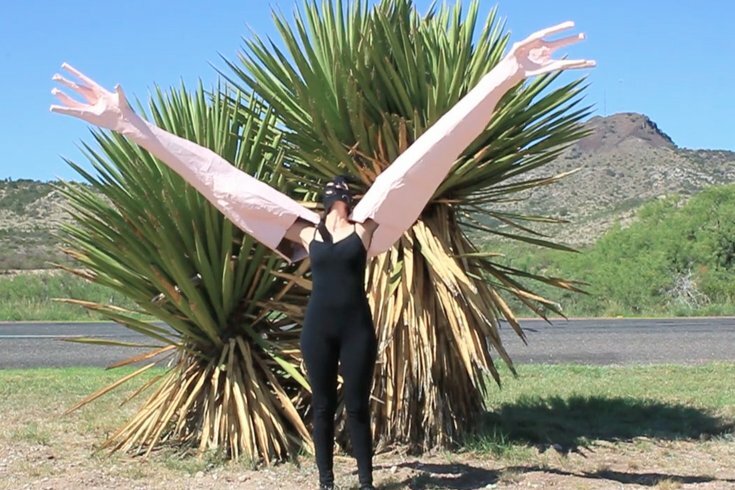 A screenshot from Jen Dunlap's 'Lonely Little Arms' (digital video) — part of the 'Swing State' show at little berlin gallery. There’s a phrase in the curators’ statement about this show that really sticks with the reader: At the Nov. 20 artists’ reception, attendees will participate in the #RedSandProject, started by New York City artist Molly Gochman, by pouring dyed sand into the cracks in the sidewalk “symbolizing how people fall through the cracks in society.” Among them: victims of human trafficking, many of whom are here in Philadelphia . “The Soul of a Young Girl” brings together the work of 10 women artists who address “exploitation, modern day slavery, and vulnerability” in their works, like Carol Cole’s piece (pictured) “Shining Through.” Co-curators Linda Dubin Garfield and Valetta explain that the exhibition’s works will be for sale, with proceeds partially benefitting the Salvation Army’s New Day Drop-In Center, located in Kensington. There, women who are being exploited by human traffickers can get food, clothes and toiletries. New Day always needs donations, Dubin Garfield says, like socks and menstrual hygiene products. People can donate there directly. Through Nov. 27, First Friday event Nov. 4, 5-9 p.m., Old City Jewish Arts Center, 119 N. Third St. The Nov. 20 reception is 1-4 p.m., with artists speaking at 2:30 p.m. On Nov. 9, the Center will show the film “Not My Life” at 6:30 p.m., which focuses on trafficking. In a 2013 report by The Sentencing Project, a criminal justice reform organization, states that there were 5,361 women serving life sentences in prison in the United States. 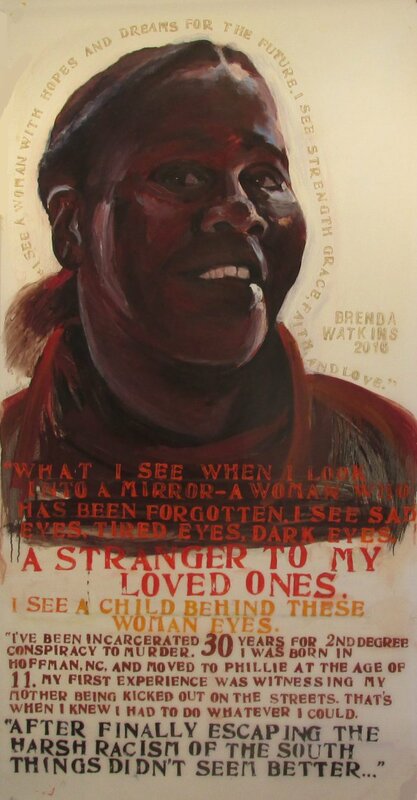 Philadelphia artist Mary DeWitt has painted the faces — and heard the stories — of many of these women. She’s taught painting to women in the Pennsylvania correctional system, and has received attention about and had exhibitions ( like the one at Eastern State Penitentiary ) focused on this work in Philadelphia over the past decade. The internet has helped signal-boost the voices of these women, literally; DeWitt combines her portraits with their voices and publishes the work onYouTube and on her website. This exhibition will showcase pieces from her ongoing series, plus new abstract works. Reception Friday, Nov. 4, 5-7 p.m., Painted Bride, 230 Vine St.
Alright, so this one’s not on First Friday, it’s the next day, but it’s timely nonetheless. Our Great National Nightmare is drawing to a close on Nov. 8, and the 17 artists in this show have a few things to say about it all. That means this show is going to examine the “power dynamics of places,” like the South, our own Philadelphia — hey, Pennsylvania’s a swing state! — and even the not-exactly-physical “place” of the evening news (the worst place, amirite?). Bless them, the group is also hosting a “post-election recovery roundtable” on Nov. 15 at 7 p.m. (which includes a “satirical gallery tour,” which sounds just delightful) to discuss moving forward. Is alcohol the answer? I bet it’s alcohol. 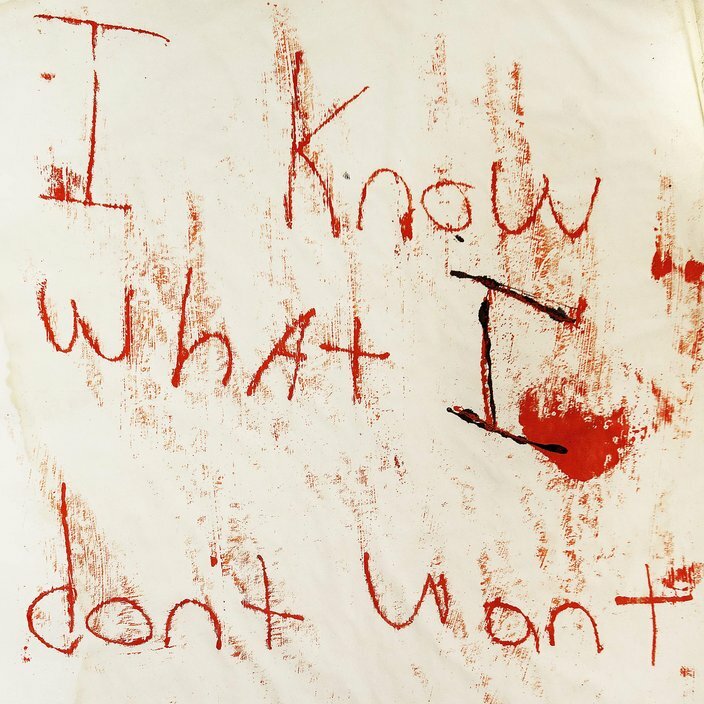 Nov. 5, 6-10 p.m., through Nov. 27, little berlin, 2430 Coral St.
Angie Melchin's 'I Know What I Don't Want' (lithograph) — from the 'Swing State' exhibition at little berlin gallery.